Is This Even Legal? What About Minimum Purchase Amounts? If you like paying with plastic, you’ve probably seen how some merchants add surcharges to credit card purchases. This may lead you to wonder: Is that even legal? The short answer is yes. 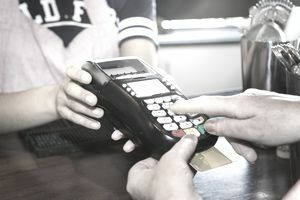 Starting in 2013, it became legal to charge customers extra if they use a credit card, and retailers can also require a minimum purchase amount when you use credit cards. But merchants need to follow specific rules when adding credit card surcharges. If it’s a surprise that retailers can do this, you’re not alone. The laws allowing credit card surcharges and minimum purchases are relatively new. Some merchants, like many consumers, may not know about their ability to charge extra. Merchants are hesitant to annoy customers or promote the perception that they’re nickel-and-diming customers. Minimum purchase: Retailers are also allowed to set minimum purchase requirements after 2013 due to the Durbin Amendment (part of the Dodd-Frank Wall Street Reform and Consumer Protection Act, which was passed as a result of the financial crisis). Initially, the minimum was more than $10, but that number may increase in the future, presumably due to inflation. In the past, retailers weren’t allowed to set minimums or add surcharges. But it wasn’t unheard of for merchants to “unofficially” enforce a minimum purchase amount. These practices were not necessarily illegal at the time, but they were a violation of the merchant’s agreement with their credit card companies. That said, merchants rarely face consequences for breaking the rules. While it’s legal under federal law to add a surcharge to credit card transactions, some states prohibit the practice. Ten states already had laws on the books before 2013. Now that merchants can officially use surcharges, other states are considering outlawing the practice as well. The states that make credit card surcharges illegal as of this writing are California, Colorado, Connecticut, Florida, Kansas, Maine, Massachusetts, New York, Oklahoma, and Texas. Puerto Rico also outlaws surcharges. They must clearly disclose the fact that there is a surcharge to you before any transaction. Your receipt must show the credit card surcharge. The surcharge can’t exceed the amount the retailer pays or 4 percent (you pay the lesser of these two, typically 2 to 3 percent). Debit cards? To clarify, surcharges and minimum purchase requirements are only allowed for credit card purchases—not debit card transactions (even if you sign for a debit card transaction instead of using your PIN). For more details, see: Debit Card Minimums—Illegal or Just Annoying? Don’t be surprised to find merchants breaking the rules. Regulations are confusing for everybody, and some merchants intentionally choose not to follow them. So, what can you do if somebody imposes an illegal credit card surcharge? First, keep in mind that the business owner might not be familiar with the rules and laws regarding credit card surcharges. They’ve got a lot to deal with, and cutting their own revenue is not on the top of their list of priorities. If it’s a small business or mom-and-pop shop, just let them know that you think they may be breaking the rules. It’s in their best interest to know this, as they want to avoid problems with credit card companies and regulators. Large companies should already be well aware of the rules. Businesses with a loyal following can always let their customers know that they prefer not to take credit cards, and they might even be able to offer discounts for cash purchases. If businesses blatantly break the law (by adding surcharges in states that prohibit them or surcharging more than is allowed under federal law), you can also report them to your state’s Attorney General. Why businesses take the risk: If you’re curious about why companies might be willing to break rules and laws, their argument is this: They have to pay fees to accept credit cards, generally ranging from 1 to 3 percent of every transaction (fees for debit cards are lower than credit card fees), and they may pay per-transaction costs. In some industries, especially with small purchases, it’s hard to make any money when customers pay with a credit card. If you want to support small businesses and local businesses, try to avoid paying with credit cards and tell your friends to do so. Less-expensive payment processing helps the merchant keep more of what they charge, and they won’t be so tempted to bend the rules.